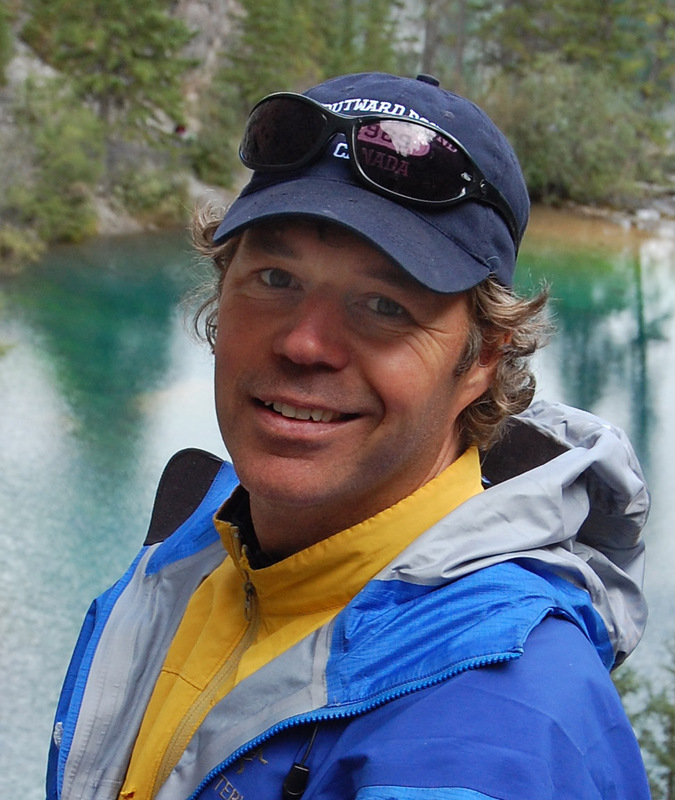 Ken Wylie, a veteran certified mountain guide from Cochrane Alberta, Canada with years as an experiential educator and program manager at Canadian universities as well as Outward Bound Canada and the Outward Bound USA, has recently been named to the board of directors at Mountain Spirit Institute based in the U.S. and New Zealand. In addition to helping guide the U.S. organization, Wylie has plans to launch a Mountain Spirit Institute Canada where he will create mountain programs based on the mission statement. Mr. Wylie and founder Randall Richards along with fellow board members are in discussions about also collaborating on mountain programs in the U.S, New Zealand and possibly the Alps. What? Quit Using Fed Notes?? A Walden for the 21st century, the true story of a man who has radically reinvented “the good life”. 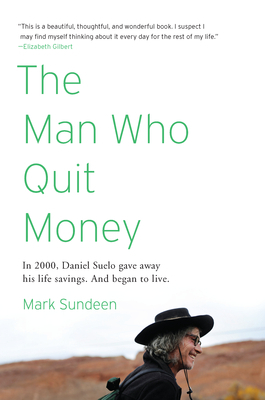 In 2000, Daniel Suelo left his life savings-all thirty dollars of it-in a phone booth. He has lived without money-and with a new-found sense of freedom and security-ever since. The Man Who Quit Money is an account of how one man learned to live, sanely and happily, without earning, receiving, or spending a single cent. Suelo doesn’t pay taxes, or accept food stamps or welfare. He lives in caves in the Utah canyonlands, forages wild foods and gourmet discards. He no longer even carries an I.D. Yet he manages to amply fulfill not only the basic human needs-for shelter, food, and warmth-but, to an enviable degree, the universal desires for companionship, purpose, and spiritual engagement. In retracing the surprising path and guiding philosophy that led Suelo into this way of life, Sundeen raises provocative and riveting questions about the decisions we all make, by default or by design, about how we live-and how we might live better. Editor’s note: It sounds like we have another Outward Bound success story here. I read that Suelo has been an OB instructor. Good to see he’s living the dream, and it looks like some of the OB values rubbed off, but I’m sure he had influences from more than just Outward Bound. Many of us fear death. We believe in death because we have been told we will die. For some reason, death has not been a stranger in my life. Western society is almost totally ignorant of death, it is something to be brushed under the rug, and feared. Stay tuned for a posting on “Death, The Funny Side” a talk by Dannion Brinkley, author of Saved by the Light. I heard Brinkley speak at a Whole-Life Expo in Seattle in the late ’80’s – he was promoting his book. I liked his half-hour talk so much that I bought a copy of it andeventually converted it mp3 format. I plan on posting it here, once I have Brinkley’s permission of course. It’s a classic, that has changed my understanding of what death is, and what it means to be fully alive. His sense of humor perspective, depth and compassion, after having died more than once and come back to talk about it, is remarkable, especially after having been a hit man for the U.S. government. Ykes. At Mountain Spirit Institute, one of our core values is addressing our “ultimate concerns”. We believe that by helping to reconnect people to the natural environment, each other and a deeper connection to one’s self, we can help participants start looking beyond the veil. Eckhart Tolle writes” The secret to death is to die before you die, and realize there is no death.” Hmm. Maybe he’s onto something. Dannion Brinkley is, as well. We associate ourselves with the body, and we know that bodies die. But a new scientific theory suggests that death is not the terminal event we think. One well-known aspect of quantum physics is that certain observations cannot be predicted absolutely. Instead, there is a range of possible observations each with a different probability. One mainstream explanation, the “many-worlds” interpretation, states that each of these possible observations corresponds to a different universe (the ‘multiverse’). 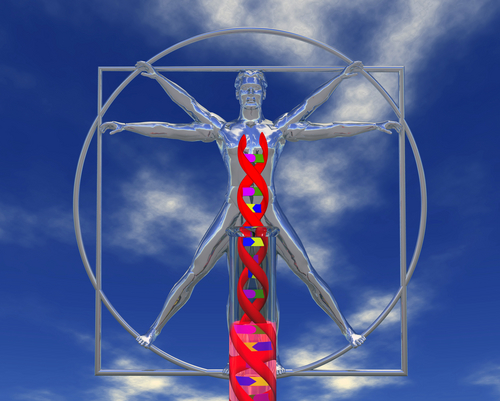 A new scientific theory – called biocentrism – refines these ideas. There are an infinite number of universes, and everything that could possibly happen occurs in some universe. Death does not exist in any real sense in these scenarios. All possible universes exist simultaneously, regardless of what happens in any of them. Although individual bodies are destined to self-destruct, the alive feeling – the ‘Who am I?’- is just a 20-watt fountain of energy operating in the brain. But this energy doesn’t go away at death. One of the surest axioms of science is that energy never dies; it can neither be created nor destroyed. But does this energy transcend from one world to the other? Consider an experiment that was recently published in the journal Science showing that scientists could retroactively change something that had happened in the past. 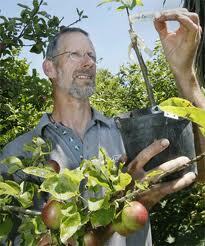 Robert and Robyn Guyton were determined to start a food forest instead of mowing a front lawn. And a forest did they grow, when in the mid-’90’s, they purchased some land and a house in the small coastal town of Riverton, New Zealand. Riverton along with its neighbor, Invercargill rank as one of the southernmost towns in the world, and back then Riverton was an affordable place to buy land. It still is compared to the northern resort towns of Wanaka and Queenstown, the latter which graces its runway with private jets, rivaling Aspen Colorado. The Guytons worked in earnest on their two lots planting trees and plants based on permaculture practices. When they first started, they received some odd looks from the neighbors, as their front yard started to take on the forest look. 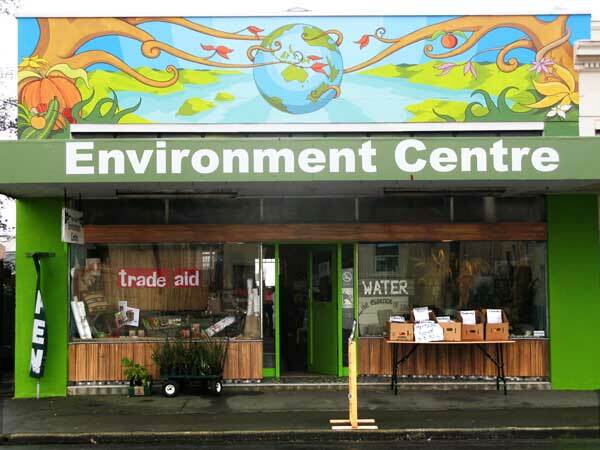 There were no other like-minded people in Riverton when they arrived, but undeterred, they started a cooperative learning center called the South Coast Environment Society. My wife and I met the Guytons when they were giving a presentation on sustainability to the ultra small Garston School, (which deserves its own blog post), New Zealand. We were intrigued with their presentation, which included a movie (to be posted on this blog) called “Welcome to the Food Forest”. We decided to take our chances and take the hour and half drive from our place and show up unannounced. Even though we had a standing invitation, we happened to miss them, when we stopped by to say hi. Nevertheless, I decided to interview Mark Baily while visiting the centre. You can see the video on my adjacent post. 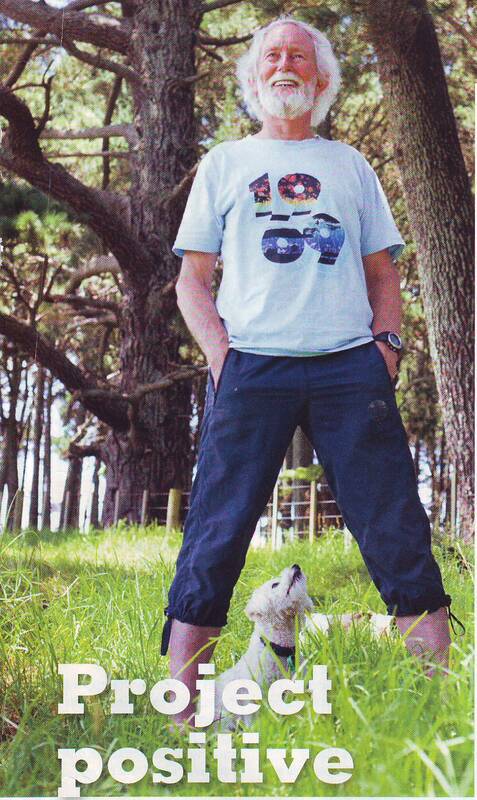 We’ll have to get down there again when Robert and Robyn are home, so we can get the proper tour of their food forest! Graeme Dingle is fast becoming one of my role models, and I’ve never met the man. I intend to though. Maybe if I’m fortunate, we may collaborate on a co-venture project helping to connect people to the mountains, who knows. The more I learn about Mr. Dingle, the more I like and respect who he is, what he stands for, and what he’s accomplished in outdoor education. Wilkinson in the early ’90s. Why did you think New Zealand needed a specific programme to help the country’s youth? LIMA, PERU, AND BOGOTA, COLOMBIA — Faced with increasingly violent local opposition, the developers of the giant Conga gold and copper mine in northern Peru suspended the project late Tuesday night, saying they were bowing to a demand from the government of President Ollanta Humala. Much of the northern district of Cajamarca has been paralyzed the last six days by general strikes called by Conga opponents that closed businesses and schools. Residents were concerned that the massive gold and copper mine could pollute the region’s water supply, a charge the mine’s operators, led by Colorado-based Newmont Mining, strenuously denied. The situation became more violent Tuesday, as protesters burned an office at the site of the proposed mine and clashes between protesters and police in the area left 17 injured and two arrested. Thousands of demonstrators massed in the central square of Cajamarca, the region’s largest city. As proposed, Conga would be a giant open pit gold mine similar to the Yanacocha mine 20 miles to the north, which is also operated by Newmont. But it would include a copper mine and smelter. Newmont has proposed investing $4 billion in the new project, which could produce between 580,000 and 680,000 ounces of gold a year. The government had projected it would receive royalties and taxes totaling $800 million annually once the mine was fully operational after 2014, income the left-leaning Humala government was counting on to finance social and infrastructure project. Read the rest of this story..
Life has such an ebb and flow. One minute you can be riding the wave, the next minute you are under the wave. One minute you can feel safe and secure in your life, and the next minute you can feel totally threatened by something. President Ollanta Humala enacted the prior consultation law on Tuesday during a ceremony in the north jungle town of Bagua. The bill was unanimously approved by Congress and has been strongly supported by international and national rights organizations. It is intended to ensure that Peru’s local laws are in compliance with the International Labour Organization’s Convention 169. The convention requires the State to consult indigenous people prior to adopting administrative and legislative measures, as well as investment projects and development plans, that could affect their communities. 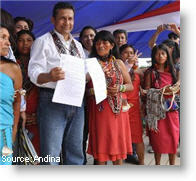 “Today we have taken an important step in the construction of a nation, the construction of a republic,” Humala added. Ex-President Alan Garcia rejected a similar prior consultation bill during his recent term, expressing worries that the legislation would provide veto powers to indigenous communities that could deter mining and energy projects. 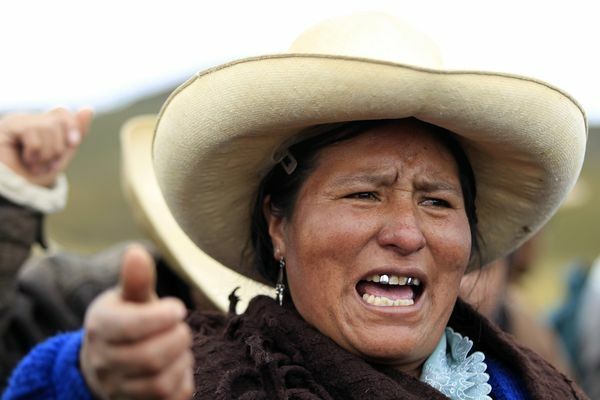 Humala and members of his Gana Peru party have said the new law will help address the more than 200 social conflicts in Peru that have impacted projects in the extractive industries. 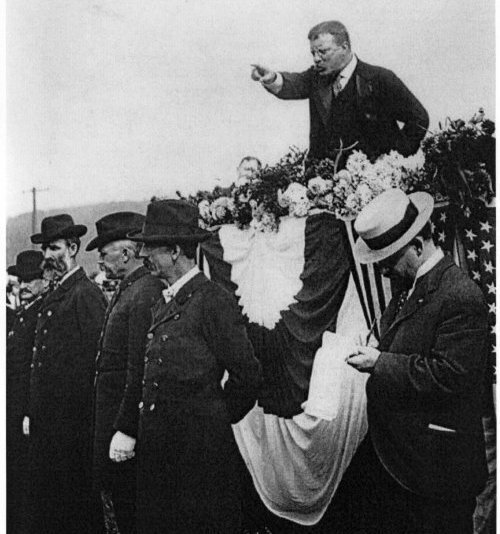 Teddy Roosevelt on "Staying in the Arena"
What does it mean to be a good citizen these days? Teddy Roosevelt had some definite ideas on the subject. Below is an excerpt from his speech Citizenship in a Republic. And from where does the term Tenacity of Pursuit come? 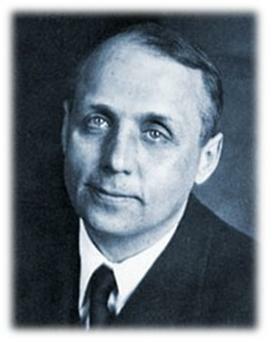 Kurt Hahn, the founder of Outward Bound considered “the tenacity of pursuit” to be one of his key outcomes of a good education. 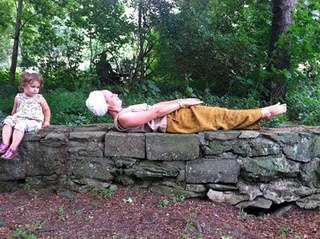 The immediacy of Richard Louv’s message in Last Child in the Woods: Saving Our Children from Nature-Deficit Disorder galvanized an international movement to reconnect children with nature. We’ve touched base about his first book here on MSI’s blog. Now, in The Nature Principle, Louv reaches even further with a powerful call to action for the rest of us. 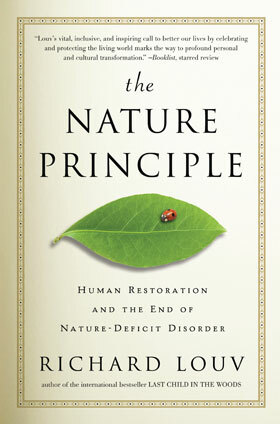 Richard Louv makes a convincing case that through a nature-balanced existence—driven by sound economic, social, and environmental solutions—the human race can and will thrive. This timely, inspiring, and important work will give readers renewed hope while challenging them to rethink the way we live. Editor’s note: I saw Mr. Louv speak in Park City about three years ago. He was a down-to-earth, (one would hope with a subject such as he covers) and passionate speaker. If you get a chance, go hear him speak, you can see his schedule on his website’s Appearances Page and if you can hear him speak, do so. Better yet, read his three books. 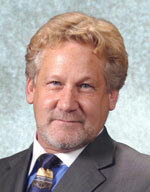 We’re honored to see that Mr. Louv has started to follow Mountain Spirit Institute‘s Twitter account. We’ve been at it since 1998, and started this blog in 2008 with 64,000 views since. We feel a kindred spirit with Louv, with our mission “to facilitate one’s connection to the natural environment, to each other and a deeper connection to one’s self”. Mr. Louv has had great success in spreading the word about getting kids of all ages outside, and we’re effectively joining him in that cause.